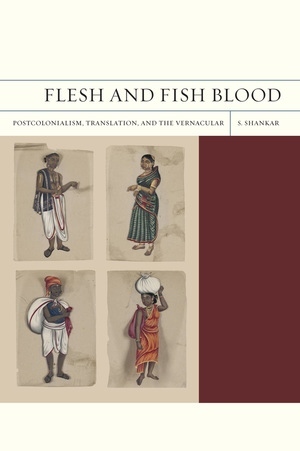 In Flesh and Fish Blood Subramanian Shankar breaks new ground in postcolonial studies by exploring the rich potential of vernacular literary expressions. Shankar pushes beyond the postcolonial Anglophone canon and works with Indian literature and film in English, Tamil, and Hindi to present one of the first extended explorations of representations of caste, including a critical consideration of Tamil Dalit (so-called untouchable) literature. Shankar shows how these vernacular materials are often unexpectedly politically progressive and feminist, and provides insight on these oft-overlooked—but nonetheless sophisticated—South Asian cultural spaces. With its calls for renewed attention to translation issues and comparative methods in uncovering disregarded aspects of postcolonial societies, and provocative remarks on humanism and cosmopolitanism, Flesh and Fish Blood opens up new horizons of theoretical possibility for postcolonial studies and cultural analysis. Subramanian Shankar is Professor of English at the University of Hawai’i at Manoa. He is the author of Textual Traffic: Colonialism, Modernity, and the Economy of the Text” and co-editor of Crossing into America: The New Literature of Immigration.